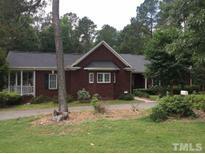 Find Clayton, NC Foreclosures for sale. View Photos, Maps and MLS Data Now! Open Floor Plan With Lots Of Hardwood Flooring *finished Bonus Room *large Bedrooms *master Suite Has Tub And Separate Shower, Walk-in Closet *dual Covered Porches *central Vacuum System *built-in Wine Rack, Cook Top , And Lots Of Cabinets / Counter Tops ! *irrigation System MLS#2133507. 1197.